Born in Britain on July 4, 1946, Jeremy David Walton has authored more than 25 automotive marque histories and biographies, selling more than 245,000 copies. His work has been translated into French, German, and Italian; he has also translated BMW books into English. 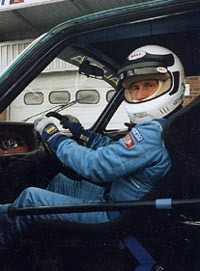 An experienced motoring journalist and former racing driver (mostly in the sedan classes), Walton has worked as a staffer for Motor Sport, Motoring News, and Cars & Car Conversions. Contact with BMW came through Walton"s avid interest in piston-engined fighter planes and his employment at Ford Motorsport in Germany. The Blue Oval struggled to beat BMW when key ex-Ford employees established BMW Motorsport more than 25 years ago, and Walton witnessed that confrontation first-hand. Jeremy currently writes The English Patient column, and has written several feature articles for Roundel, the magazine of the BMW Car Club of America. Personal enthusiasm for BMW was sealed for Walton when he had the privelege of racing a 3.0-liter CS in the 1972 Belgian 24-hours at Spa-Francorchamps. The virtually standard coupe, shared with Peter Hanson, finished seventh overall, won its class and covered 2,516 miles at an average of 104.9 mph with no mechanical maladies. Walton currently resides in the UK with his adopted BMW 635CSi. Visit Jeremy Walton online on his website at www.jwarthog.com.